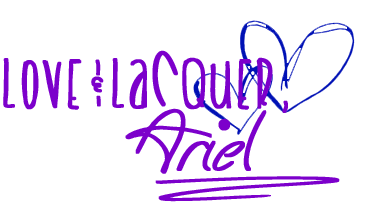 I've got another great guest post for you today from Krystal over at Polish Galore. This post has such a funny story to it - check it out! Many moons ago in March 2012, I found an Etsy seller through Twitter that was selling pure spectraflair pigment by the jar full. Well it was a gram in a jar for $20 but hey you know what, it was glittery and pretty and I WANTED IT. 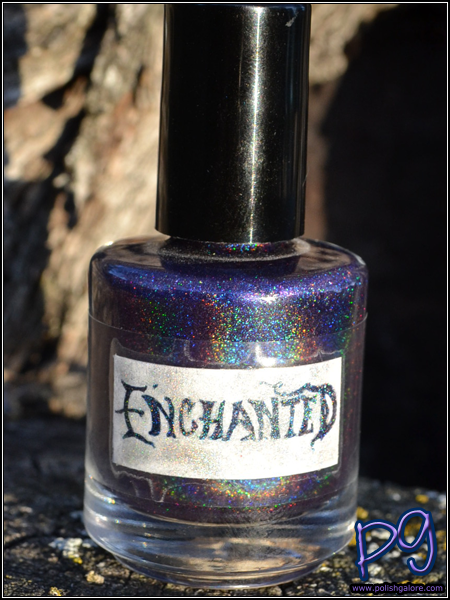 When I got my pigment, the seller included a cute bottle of purple holo polish with a handwritten note saying she was going to open her own Etsy store for polish and this was one of the first called Unicorn Tears. I thanked her and put it in my stash and didn’t think about it again. When you have over 2000 bottles of polish, you tend to forget about some. 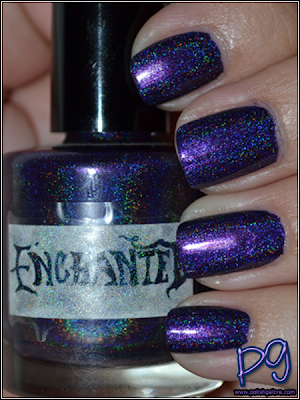 A month later, I saw The Polishaholic post on Enchanted and was like “HEY, that’s pretty!” but didn’t think to grab my bottle of Enchanted to put it on. Now, the old Enchanted bottles are almost indistinguishable from the current shape, style and logo. I missed meeting the owner, Chelsea, by hours at Cosmoprof this year, but maybe I’ll see her next year. So onto this polish. I used a base coat of Rejuvacote and then just one coat of polish. I did not use a top coat. How gorgeous is this? 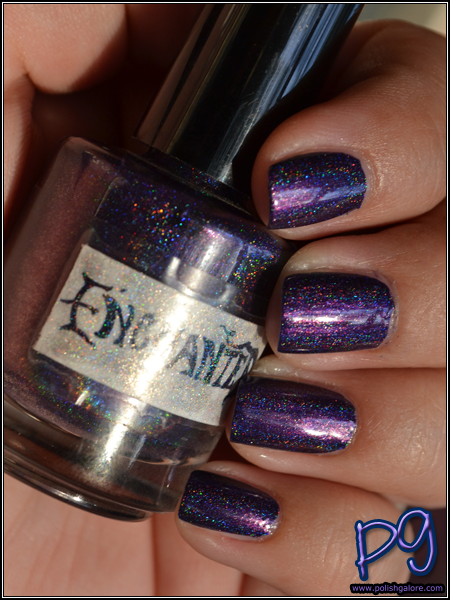 Loads of holo, deep red purple base – amazing. 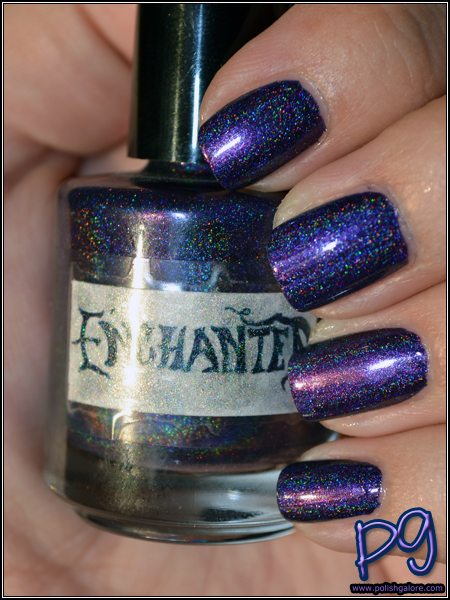 Unlike any other holo that I own, this is a darker base with LOADS of scattered holo particles, even though you see a little bit of a linear rainbow too. Indoors you can see again, the richness of the color and just how opaque it is. One coat! Unfortunately, this polish is long since discontinue, but you might get lucky and find a bottle through swapping or on eBay. OK - ummm WOWIES! That is so crazy! You had an EP before they were even for sale.. that's AWESOME! =P I know I'm super-jealous! 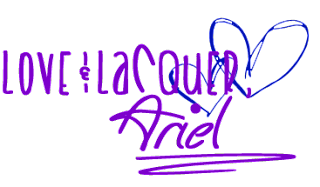 Thanks so much, Krystal, for guest posting for me today; everybody please show her some love by checking out her blog here!